Congratulations for your new home! Hope it becomes a very special place where all your dreams grow. 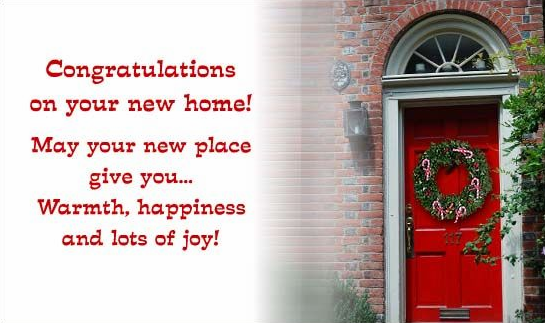 Congratulations on acquiring your new home! May you find great happiness at your new address. So you have stopped paying rent? Congrats! There is no place like home! Fantastic news! A new home is a place for memories to be made and dreams to come true. Congratulations on your new home and all the best for the unpacking. A house is made of bricks, a Home is made of love and dreams! May your new home be a place where friends gather! Congrats for your beautiful new house. Wishing you all the very best settling in and making it your own. Congratulations on getting your new house. Wishing it becomes a place of many lovely and happy moments. Congratulations on moving in! 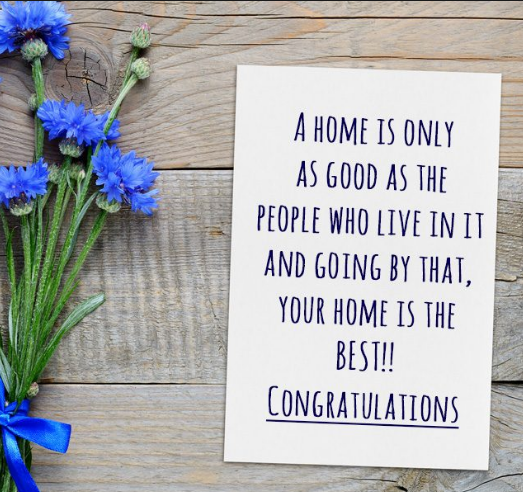 May your first home brings you lasting happiness! Congrats on buying your new home. Feels like heaven, doesn’t it? May your new home be your castle. A brand-new key, a brand-new place, a happy smile upon your face! Hoping that you’re blessed with lovely neighbors. May God bless this new home with harmony, with love and happiness. Even the walls of the most expensive hotel in the world, can never be as warm as those of your home. Congratulations. Here’s to wishing you a new home. Home is where your stuff is.